Ashes Cricket PS4 game features Star Test players. This Ashes Cricket game is available at Souq.Take your cricket experience to a new level with the Ashes Cricket, Region 2, PlayStation 4 game. This is one of the competitive online cricket game that you will enjoy to play online with or against other players. It showcases an officially licensed stadium featured in the 2017-2018 Ashes tour to offer a real-life feel. This game lets you create everything, right from the logo to your team to the stadium. 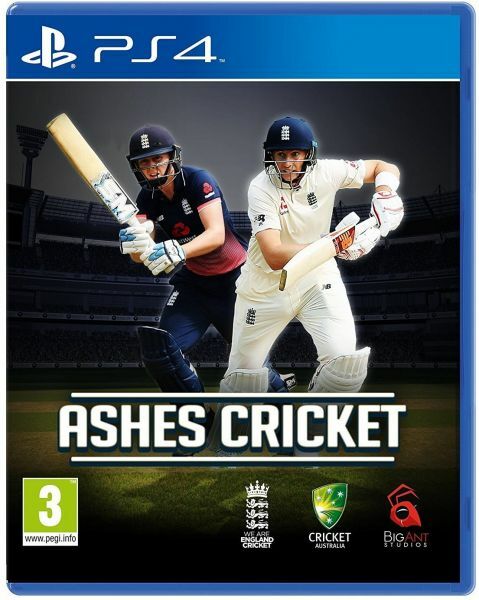 Get ready to bring all the fast-paced action, big hits, and skill that you see in the greatest cricket competition on the earth with this Ashes Cricket PS4 game. With the Deep career mode, you can play like a star or start as a junior and play club cricket until reaching the international level. This Ashes Cricket game gives you the freedom to customize your playing experience. It allows you to create players, teams, and even the umpires in the Cricket Academy and upload it to the online community for others to see. Also, you can create your stadiums and logos to enhance your playing experience. Good game after Don Bradman Cricket. Graphics and gameplay are decent. Not comparable with realistic graphics of Football but still a fair game if you are an ardent Cricket fan. Delivery was prompt. Overall satisfied with it.